As I was still sick this weekend I gave up my plans to go to Quebec City and stayed mostly in, which gave me the opportunity to work a little on my bayesian networks engine. I added support for loading bayesian networks from files in the format XMLBIF (the Interchange Format for Bayesian Networks). This is the first file format my engine supports and it looks okay for most of my currently foreseeable needs. It looks like it is supported by JavaBayes, GeNIe and BNGenerator. 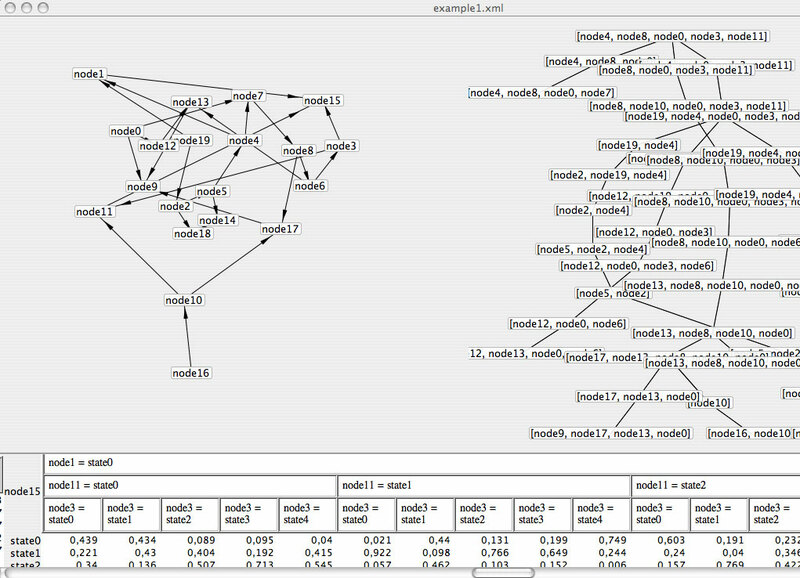 BNGenerator is a wonderful bayesian networks generator which I started to use to benchmark (and debug) my engine.